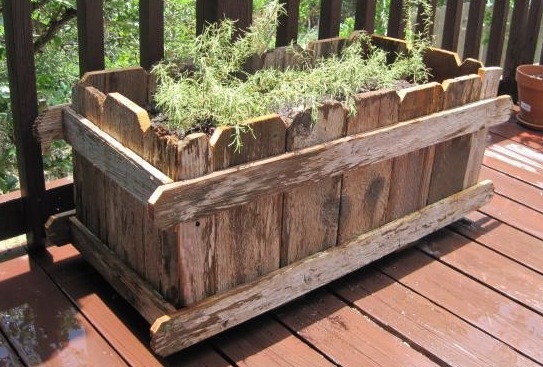 How do you build a planter for one buck? First, forget to throw away that old fence you tore down earlier in the year. Second, think rustic. A bent nail or split piece of wood just makes it more stylish. Then invest about thirty cents in nails and about the same in a plastic painting liner. I need about four of these, so the price is right. Put a little TLC into the project and you are sure to create a planter of your own that looks like it cost at least three or four bucks.